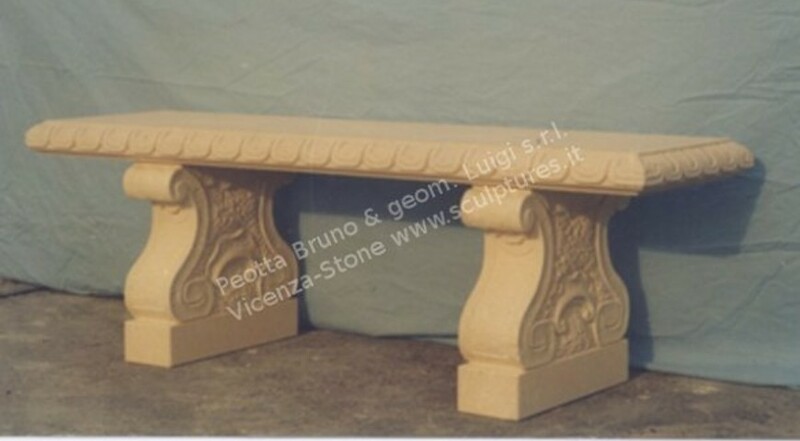 This carved stone straight bench is a copy of the antique patio seats of Italian gardens. A decorated base with shells and the top with eggs design style. Mediterranean Initalian style, crafted from Peotta Bruno hand carved stone sculptures. The bench is ideal to be used on a patios, terraces or gardens.